Tiny homes have created a small-scale revolution in the housing market. Sean Moroni, owner of S.O. Tiny Homes in Central Point, Oregon is enjoying every minute of it. 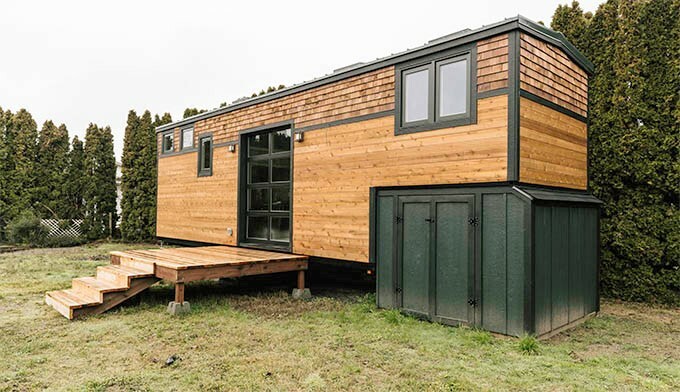 Just in case you’ve missed the hype, a tiny house is a full-fledged dwelling with all the comforts of a modern-size home, intelligently packed into a space of around 250-square feet. * These homes are beautiful, comfortable, efficient, green, affordable, and transportable. Additionally, the homes that Sean and his team build will soon be famous. Sean started thinking small back when he was building big. Back then, he was working with his dad building million-dollar homes in Ashland. The company’s customers think it’s a good fit, too. S.O. Tiny Homes has already sold seven homes in its first year. His kids like the small homes as well. They’ve watched their dad start the company and put in the long hours necessary for success. With a company mission to build small, custom spaces, for life’s big adventures, while providing a retreat for those who find comfort in a well-built home, Sean's company is well on its way to becoming a huge success. "I really like to design these homes and do the finish work." Keeping a new company like S.O. Tiny Homes running smoothly requires some financial ingenuity. Because Sean has been a member for just over a decade, he decided to use his Northwest Visa® Rewards Card to finance orders, pay vendors, and grow the company. At Northwest Community Credit Union, we think uncommon members like Sean are pretty cool, too. Like us, Sean is dedicated to his community and works hard for a better tomorrow. 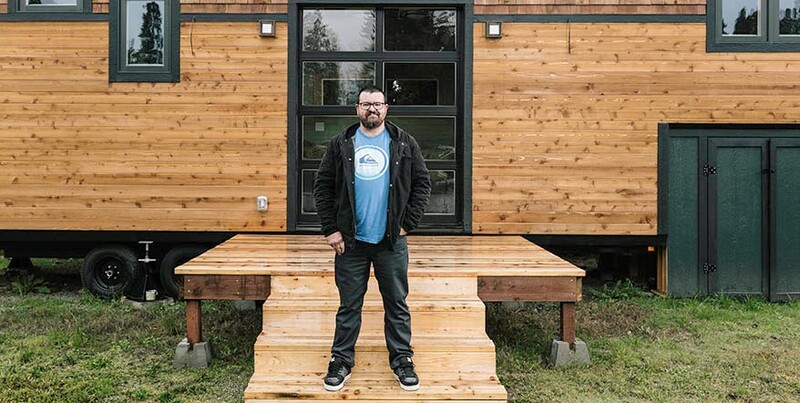 Whether he’s buying items for a tiny kitchen or other building materials with his Northwest Visa® Rewards Card, we’re honored to be part of his team – and equally excited to see the future of tiny homes take off in a big, big way. *Please note that NWCU does not offer financing for tiny homes.